As I tour, I will meet many people and communities, learning about their struggles and projects. If you want to help these people that I meet along the way or participate in a project, please contact me, and I will put you in connection. 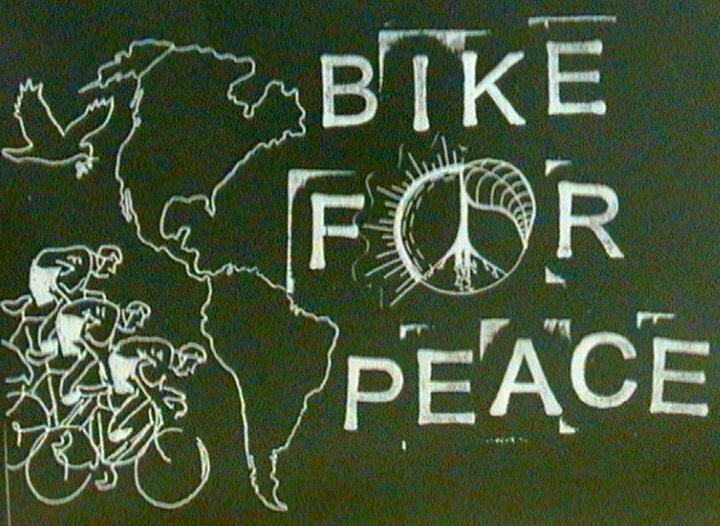 BIKE FOR PEACE is a mission of self discovery and a document project on projects for peace. 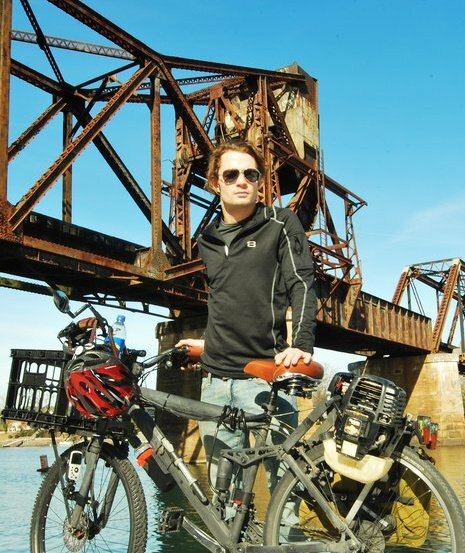 The Bike For Peace tour journeys though 15 countries from Alaska to Argentina. I have been in touch with Amelia since the summer of 2011. I hope to meet her down the road as we make our way south. 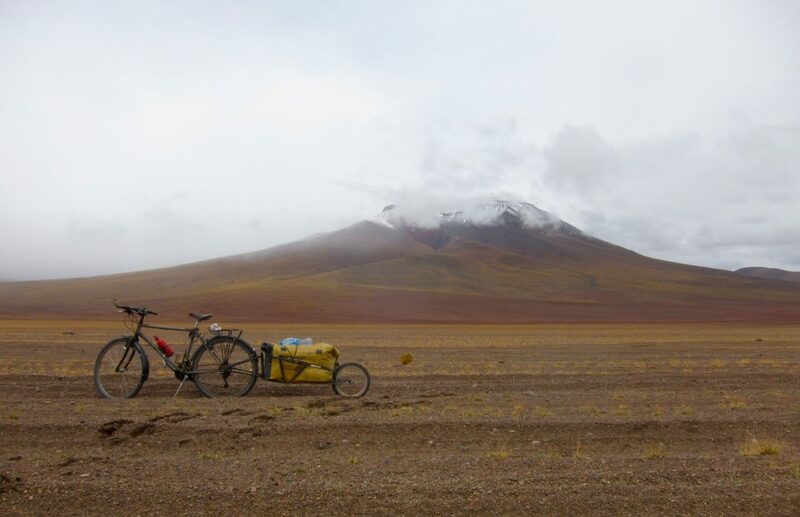 Thirsty Bike is a motorized bicycle expedition down the Pan American Highway beginning in Anchorage, Alaska and ending in Ushuaia, Argentina . 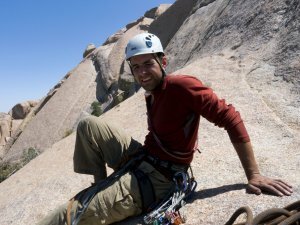 The trip will be filmed in HD video and will work to raise awareness of efficient means of transportation, promote cultural awareness, and help people around the world gain access to clean drinking water by raising money for Water for Life, a non-profit institute that works in developing nations to help increase access to clean water and sanitation. A blog with photo and video updates will be kept as well. This is a beutiful project, and I look forward to seeing the film in the future! I stayed at El Rancho Aribabi, a 10000 acre farm in Sonora Mexico. Sr Carlos Robles and his family dedicate their privately owned property as a conservation for a vast wildlife of exotic species of the Sonoran desert. They operate on eco tourism. If you are ever in the Sonoran desert area, I highly suggest you visit this breathtaking ranch. A fellow farmer found my blog and I discovered their project in Nicaragua, name Guardabarranco S.A. I did not have the chance to visit this farm, but after reading what they do, I am a fan! It’s a non-profit organization in Ocotal, Nicaragua that works with local farmers and people in the rural communities. 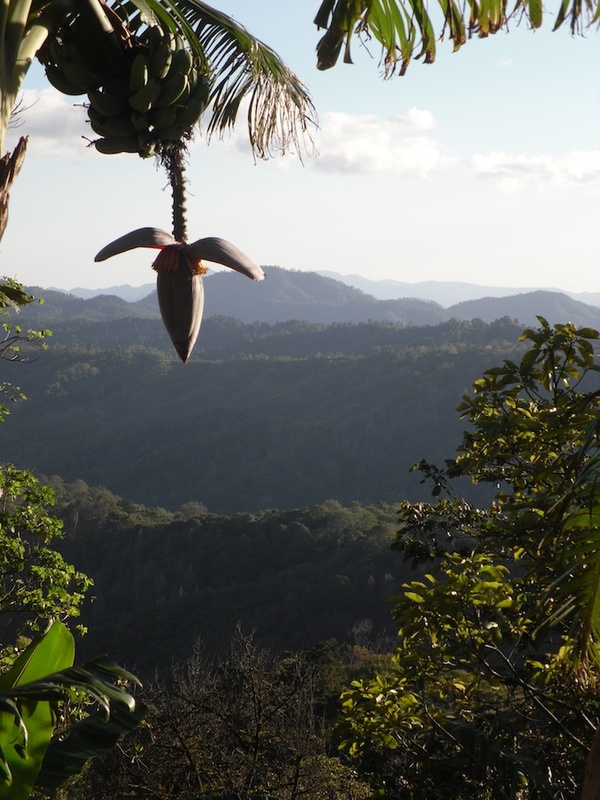 Their vision is to build a sustainable operation of organic farming education in Nicaragua. The profits from coffee industry tours and courses fund volunteer programs. These programs, in turn, brings support and education to the Nicaraguan farms. You can read more about them here. My friend, Alejandro, of San Salvador, is working in an organization, Es No Mineria, educating the public about the human and environmental damages caused by metallic mining. Supporters of the ban on metallic mining are urging their government to not only suspend mining projects, and instead ban metallic mining altogether. 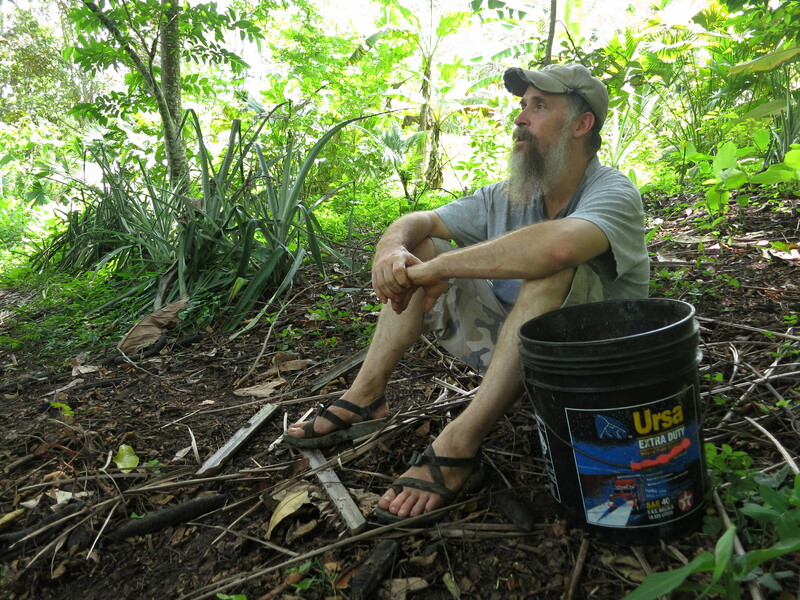 In Belize, we were invited by Chris Nesbitt on a tour of the Maya Mountain Research Farm (MMRF). In the foothills if southern Belize, MMRF “is a registered NGO and working demonstration farm that promotes sustainable agriculture, appropriate technology and food security using permaculture principles and applied biodiversity.”* If you would like to take a class or learn more about tropical biodiversity in the Jungles of Belize, click here to contact MMRF. “Conscious Convergence draws upon indigenous styles and traditional wisdom, re-imagining ancient practices for a modern age. We work in close collaboration with Mayan communities, gathering our natural materials and dyes from local forests and following time-honored artisan techniques. We believe what we wear expresses who we are, our vision is a holistic one seeking to nurture the body, mind and spirit through sustainable practices and mindful creation. All pieces are modular, multifunctional, ecologically friendly, and designed to support health and well-being. Modularity allows the option to add or take away elements from a piece, creating versatility and efficiency perfect for world-travelers. Multi-functionality allows for a piece to be transformed, putting freedom and flexibility of use back into the hands of the people. cotton, natural dyes, natural fiber, and jasper cloth. All pieces are hand-woven and designed to reduce waste to a minimum, sometime working with square and rectangular forms. Our revolutionary approach to clothing blends healing medicinal plants with natural textiles to create clothing that supports health and well-being with love. We use local medicinal plant for obtain the colors like Pericon , avocado, bay leaves, and much more. The color produced from the plant interact with the chackra color body for helping in the healing process. We are involve in producing natural Henequen fiber with a woman’s co-op, and use sibaque fibers extracted from local plant in the Guatemala mountain. We are involve in producing fabric with Mayan local weavers, with foot loom for big quantity of fabric and back-strap loom for scarf. Another group produce typically fabric from Coban: pick bill huipil, is delicate made with organic cotton. The shoes are produced with recycled Mayan fabric and tires. Also we collaborate with other designer and brand for producing or selling product in a way to build collaboration and support, between artist, designer and vendors, and provide work at the locals peoples. We share materials and resource, because we are one and we are in cooperation and not in competition.